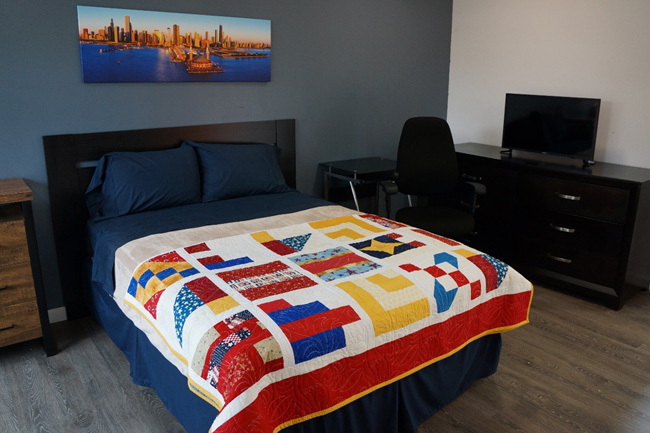 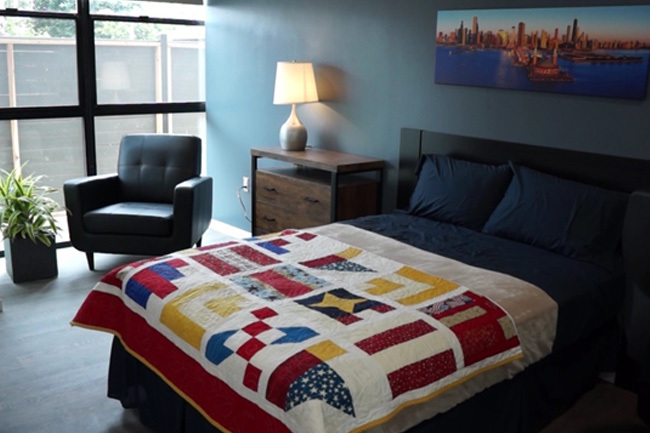 Sixteen beautiful, 480-square-foot living spaces designed to complement the surrounding environment are now new homes for chronically homeless veterans who once resided on the streets. 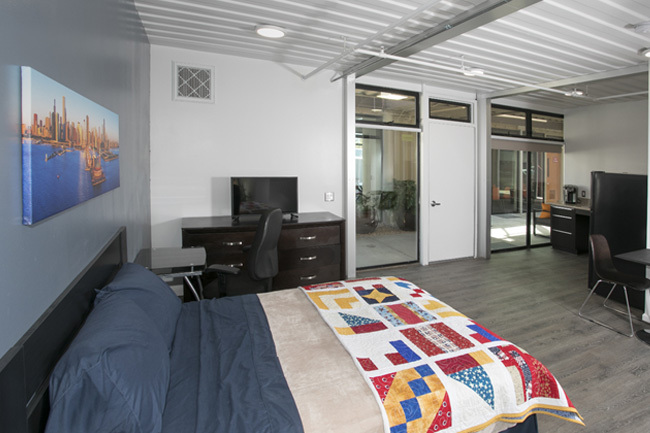 While Potter’s Lane joins a growing list of projects that have embraced modularized construction, it is the first-of-its-kind to use recycled shipping containers to create permanent supportive housing for our veterans. 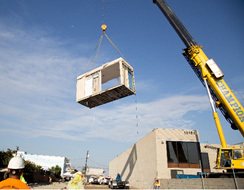 Adopting this approach has reduced development inefficiencies, increased sustainability and energy efficiency, created opportunities to leverage scarce resources, and provided a solution to increased access to permanent supportive housing without the long development cycles associated with conventional site-built construction and financing. 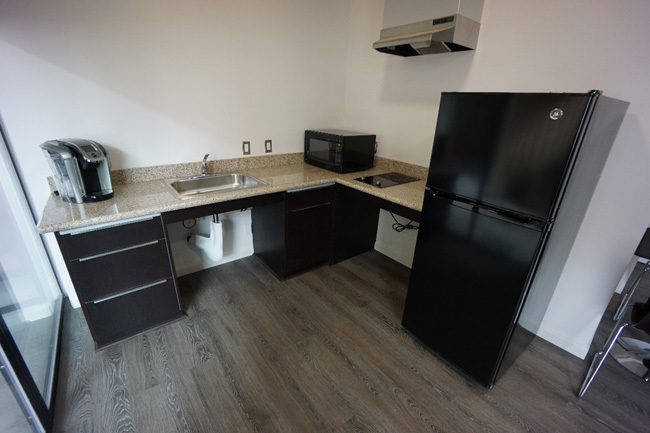 Designed with the community in mind, Potter’s Lane offers both indoor and outdoor spaces, with beautiful gardens to provide a sustainable environment that soothes the soul. 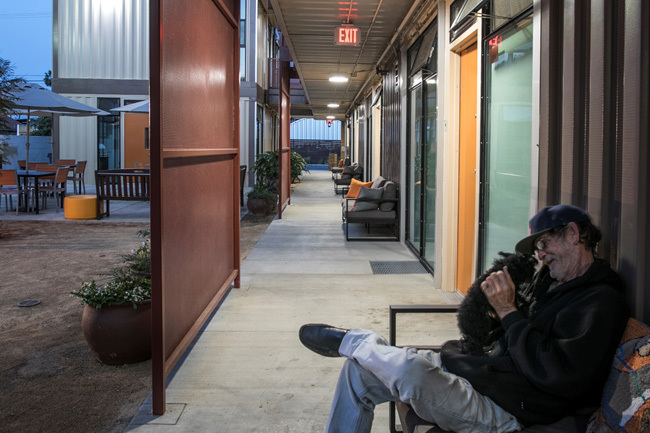 Through tranquil common areas, residents will be encouraged to interact with each other—building community and a sense of belonging and connectedness to others. 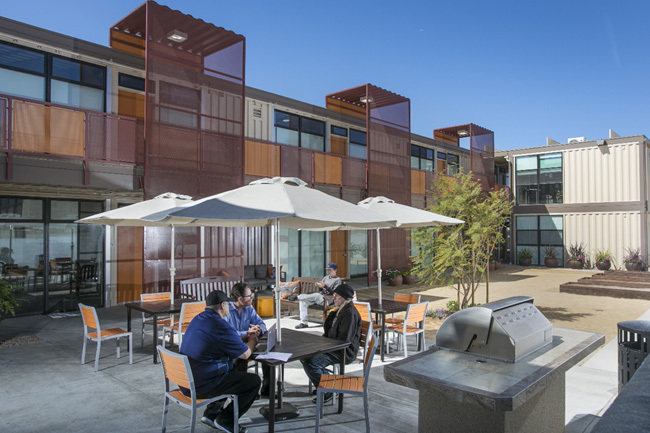 Potter’s Lane has been recognized two years running for its innovative and attractive design for a total of 5 Awards of Merit for the PCBC’s Golden Nugget Awards which showcase projects from across the nation. 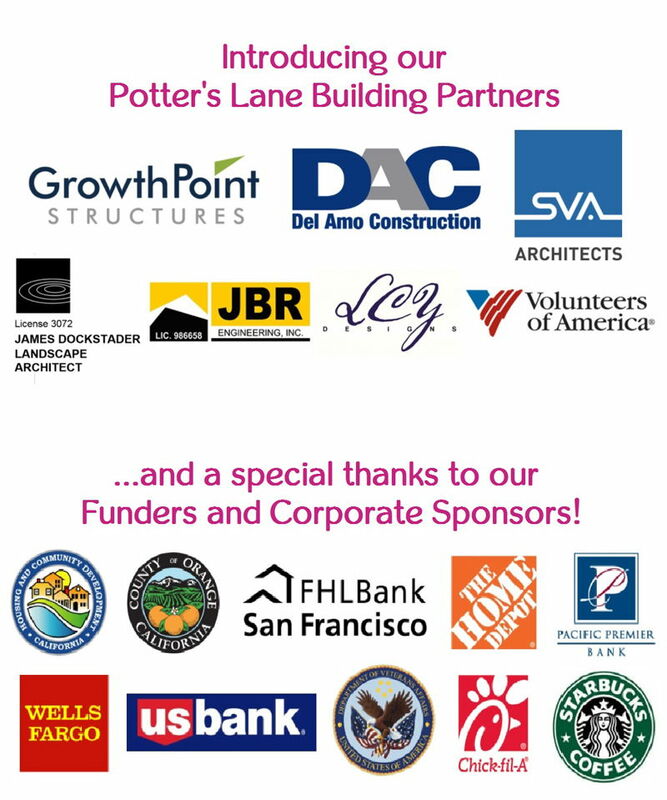 This year’s categories honoring Potter’s Lane include Best Affordable Housing Community and Residential Housing Project of the Year! 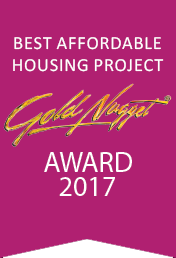 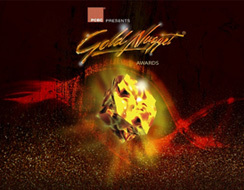 We are very proud to announce the Project has won the 2017 Golden Nugget Award for Best Affordable Housing Project and we wish to thank and congratulate our design partner SVA Architects Inc.